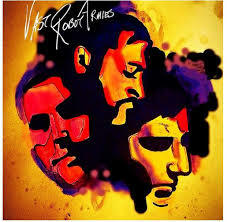 Canadian/US band Vast Robot Armies came about from the a mutual appreciation between two bands, Vast Robot Armies in the original line up form and Sundriver. Members Jay Thomson (Vocals/Guitars/Keys), John Agee (Vocals/Bass/Guitars/Keys) and Joe Wells (Guitars/Bass/Keys) were soon considering ideas, before Chris Metcalf (Drums) joined to complete the line-up. With plans in place, Vast Robot Armies first met up in Toronto and then in Kansas, before the process of recording their forthcoming album ‘Little Creatures’ began in Chicago. Vast Robot Armies have just released two singles ‘Everything New Is Old Again’ and ‘Foxtrot’ in advance of the album. Both singles from the band are full of lush guitars, melodic vocals and a powerful rhythm section . With an excellent rock sound to them, both tracks have a slightly grungy sound as well as a raw edge to them, that makes it a delight to listen to. With two very strong tracks from the band, the much anticipated album is certainly something you are going to want to hear on its release. The band are busy finalising the album details and further details about ‘Little Creatures’ which is due to be released 3rd March.